Scale your business to manage a broader range of product offerings. Significantly reduce the time to market for new issues. 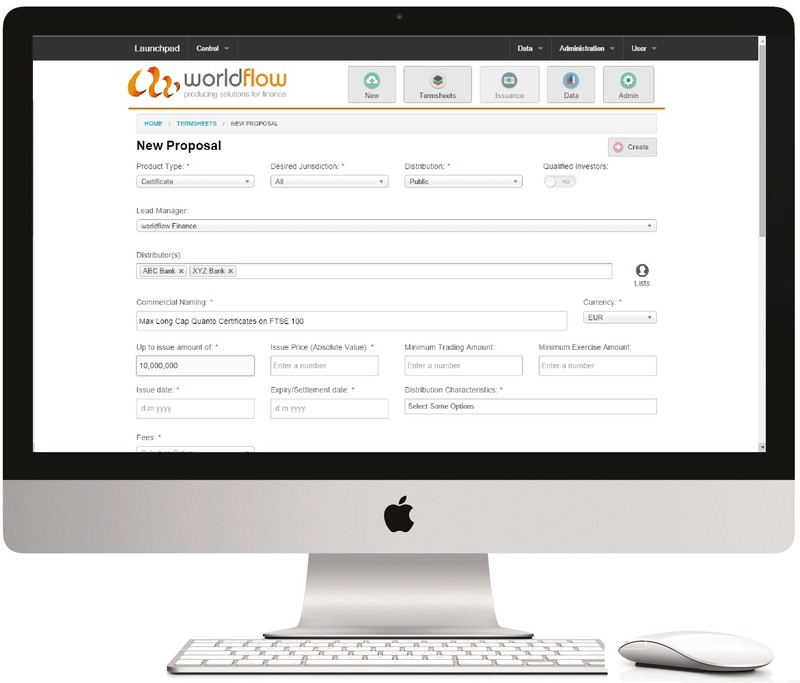 Gain competitive advantage through faster response times to client requirements. Ensure a consistent product offering across all territories and points of client contact. Cut the costs of generating and maintaining client documentation with automated production of Key Information Documents, Term Sheets, Final Terms and post-issuance notices. Improve response times to regulatory and market driven change. Reduce the costs of managing compliance across multiple territories and products. Maintain a complete audit trail for all user actions throughout the issuance cycle. Integrate directly with data and price feeds to reduce manual entry errors. Centralisation ensures all outputs are fully up to date for compliance purposes.